One of my favorite Summer “go-to” meals is Chicken Salad. 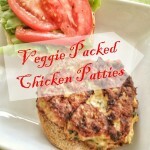 I can easily make a big batch of it and have it every day for lunch (and sometimes dinner). However, we all know that most chicken salad recipes have mayo, and mayo doesn’t benefit our health in any way. This Summer, my husband and I are trying to “eat clean”, so I wanted to make a more healthy chicken salad. I wanted it to be packed with veggies, especially since I’m more likely to eat them if they are in the main dish). And I wanted it to have a fresh summer taste. This recipe was perfect for all of that. 1. Rinse the chicken breast. Lightly sprinkle each side with garlic salt. Heat coconut oil in a skillet. Add chicken. Cook for about 4-5 minutes on each side, until chicken is no longer pink in the middle. 2. Cut the chicken into small bite size pieces. In a bowl, combine the chicken, lemon juice, olive oil, lettuce. 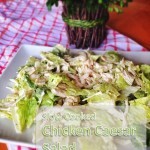 Mix until the chicken and lettuce are well coated with the lemon juice and olive oil. 3. Spread about 2 tablespoons of hummus down the center of the tortilla. Spoon chicken mixture over hummus, roll up the tortilla and enjoy! 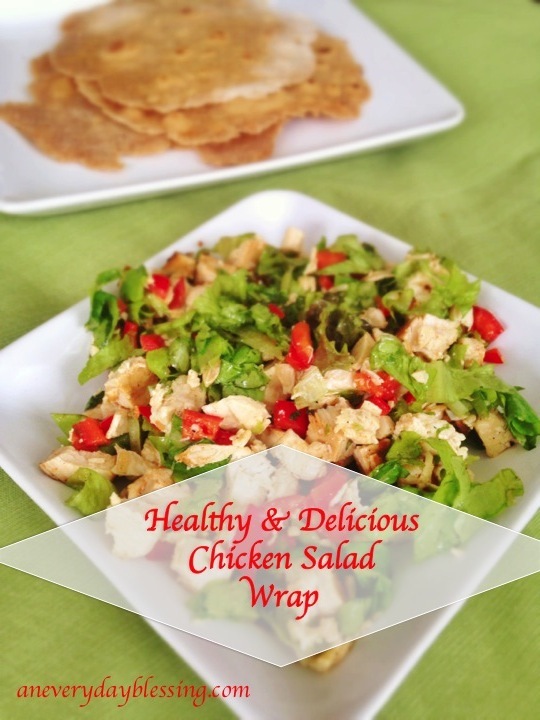 We just loved the crunch that the peppers and lettuce gave to the wrap. The hummus gave it a nice creamy texture, as well as made the wrap a little more filling. It was super delicious served along with some fresh fruit. 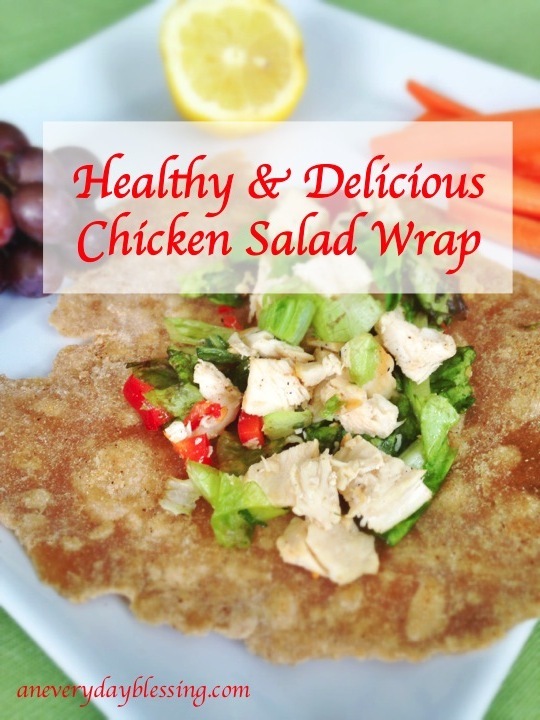 Overall, it was a super delicious, healthy chicken salad wrap that even my two year old ate up! 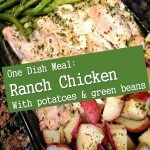 This entry was posted in Recipes and tagged chicken, clean eating, healthy food. Bookmark the permalink. this looks so good and a healthy option. I am always looking for healthy recipes. Thanks for linking up at Tell Me About It Tuesday. We hope you hop over and share with us again next week.